Any weekend plans? No? Great! Because we have some idea to share and we can bring a lot of inspiration for a wonderful time, spend in the beautiful and colourful town of Plovdiv. Plovdiv is the second biggest town in Bulgaria, after the capital Sofia. It is located on the two banks of Maritsa river and it is an important economic, transport, cultural, and educational centre. There is evidence of habitation in Plovdiv dating back to the 6th millennium BCE, when the first Neolithic settlements were established, so it is said to be one of the oldest cities in Europe. 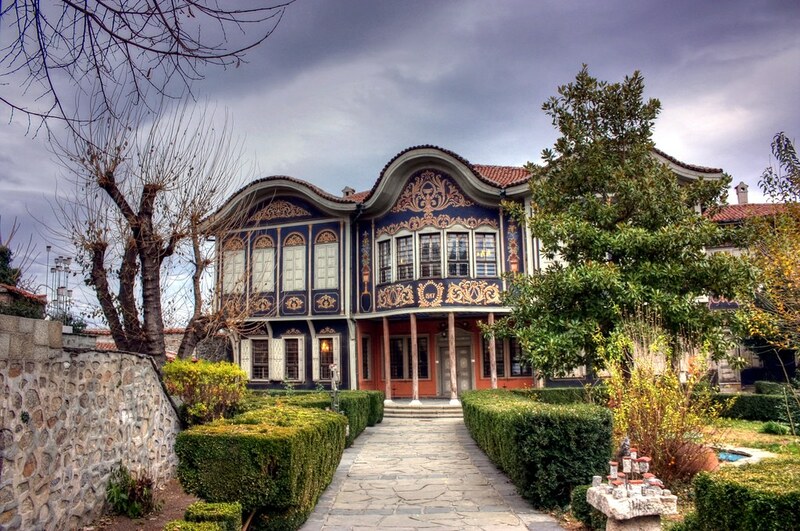 To say it another way - there is a lot to be seen and it can be interesting for everyone - for those who love history, nature, nightlife or urban culture - Plovdiv has it all! During most of its recorded history, Plovdiv was known in the West by the name Philippopolis after Philip II of Macedon conquered the city in the 4th century BC. The city was originally a Thracian settlement and subsequently was invaded by Persians, Greeks, Celts, Romans, Goths, Huns, Bulgars, Slavs, Rus people, Crusaders, and Turks. It is a fertile land with good central location and a river so it is not a surprise that a lot of people would have wanted to settle there. Because of its rich past, there are many ruins, preserved to present days such as such as the ancient Plovdiv Roman theatre, a Roman Odeon, a Roman aqueduct, the Plovdiv Roman Stadium, the archaeological complex Eirene, and others. We can’t speak of Plovdiv without mentioning the well known “old town” - take your best boots, because you will be walking on a cobblestone and take a trip to the past. Then make sure you have enough time to walk on the modern part of the city and the big pedestrian street in the centre of the town. You will be amazed form the architecture, the colours and the calm and positive vibe of this wonderful place. If you prefer to visit for some cultural event - Plovdiv is host to a huge variety of them, such as the International Fair Plovdiv, the international theatrical festival "A stage on a crossroad", the TV festival "The golden chest," and many more unique festivals, such as Night/Plovdiv in September, Kapana Fest, and Opera Open. On September 5, 2014, Plovdiv was selected as the Bulgarian host of the European Capital of Culture 2019. In the competition the cities of Sofia, Veliko Turnovo and Varna also completed. Plovdiv is probably one of the easiest to reach destinations since one of the main highways in the country crosses it. It is 140 km from Sofia. Additionally, there are railway lines to Sofia, Panagyurishte, Karlovo, Peshtera, Stara Zagora, Dimitrovgrad, and Asenovgrad. There are three railway stations: Plovdiv Central, Trakia, and Filipovo. The Plovdiv International Airport is near the village of Krumovo, 5 km southeast of the city. It takes charter flights from Europe and has scheduled services with Ryanair to London and Frankfurt-Hahn.